WE’RE ALMOST THERE! 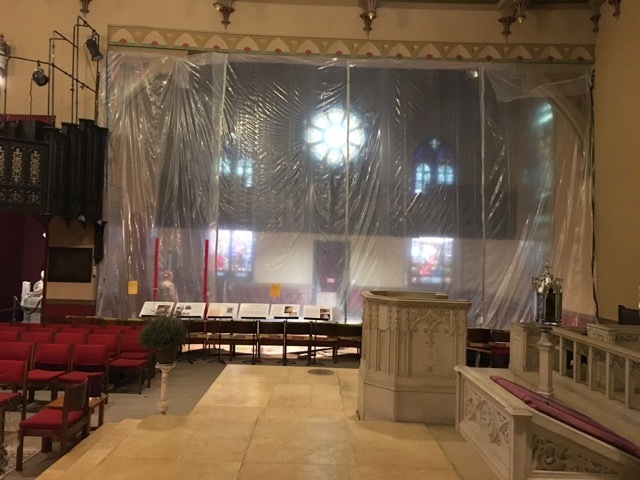 We’re nearly finished a year’s work on Frank Furness’s transept. It’s becoming the Furness Burial Cloister because it features the nine vaults from the 1824 churchyard that the transept covered in 1878. Come now, as work is underway, and read the posters that explain the history of the site and purpose of the project in front of the protective Mylar. Come again after mid-November and we’ll have more, even biographies of the people buried there. There are some really good stories. . . . .